The Alabama Social Work Hall of Fame posthumously honored a former University of Alabama faculty member during a ceremony Friday, Nov. 2. Dr. Kathleen (Kathy) Bolland, who worked at UA in various capacities from 1985 until her death in 2015, is the lone 2018 inductee into the Alabama Social Work Hall of Fame. Bolland began her UA career as an educational psychologist before teaching in UA’s School of Social Work and chairing the bachelor of social work doctoral programs. Dr. Carol Drolen, UA associate professor of social work, accepted the award on behalf of the Bolland family. The Alabama Social Work Hall of Fame was founded by the Social Work Society of The University of Alabama School of Social Work to honor the outstanding accomplishments of some of the state’s most distinguished leaders in the field. Every year, the UA School of Social Work hosts a luncheon to celebrate honorees’ achievements and welcome a new class of inductees. UA School of Social Work alumnus William Suclupe, clinical social worker at the Tuscaloosa VA Medical Center, delivered the keynote address. Bollland is lauded as a pioneer in higher education and program evaluation. 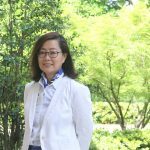 She began her career in higher education in 1978 at Ohio State, where she worked as a program associate in evaluation and policy. She then worked as a project coordinator in the University of Kansas’ Department of Special Education, from 1979 to 1985. In 1997, while earning her doctorate from the UA School of Social Work, Bolland served as an adjunct faculty member in the School of Social Work and College of Education at UA. She graduated with her doctorate in social work from UA in 1998. 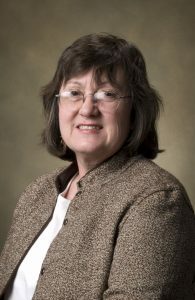 From 1999 to 2008, she held various teaching and administrative roles within the UA School of Social Work, including assistant professor, assistant chair of the doctoral program, bachelor of social work program chair and assistant dean for educational programs and student services. In her role as assistant dean, Bolland made her greatest impact on students and her social work colleagues, helping to ensure that deserving students received scholarships and awards. “In my time as a student, she was a constant presence of comfort and support for the students of the program,” said James Meadows, a social work doctoral student at UA. “She was the face that students would go to when there was a need. Bolland was also instrumental in shaping the American Evaluation Association, building its subscriber base from 25 to more than 3,000. Bolland published more than 30 scholarly papers during her career. The Hall of Fame ceremony and luncheon were held at the Hotel Capstone on UA’s Campus.